In bollywood, they say you need just one big hit to launch yourself. Himesh Reshammiya, did that with his debut film Aap ka Surroor- The real Luv Story. Only, Bollywood didn’t exactly embrace him after that.But Damadamm seems to have brought him his lost glory on a global scale. The composer turned actor is going international, and leaving no stone unturned to ensure his acting skills match up to his western counterparts. This technically isn’t Himesh’s first international outing- he has already worked with international artists as a composer, but will now work as a composer and actor. 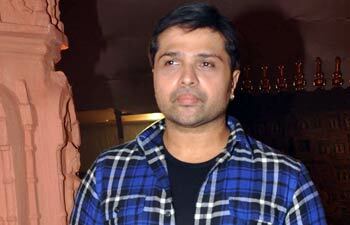 “With the success of Damadamm , Himesh is getting a lot of acting offers. Himesh’s next release will be French director Christophe Lenoir’s film A* is killed, which is rumoured to be based on the death of Michael Jackson. Himesh will share screen space with celebrity blogger Perez Hilton, a close confidant of MJ.